Antony Gormley has always started his work from a study of the human body notably his own. He never makes literal representations of the body but creates traces that we experience and fill with our own imagination. 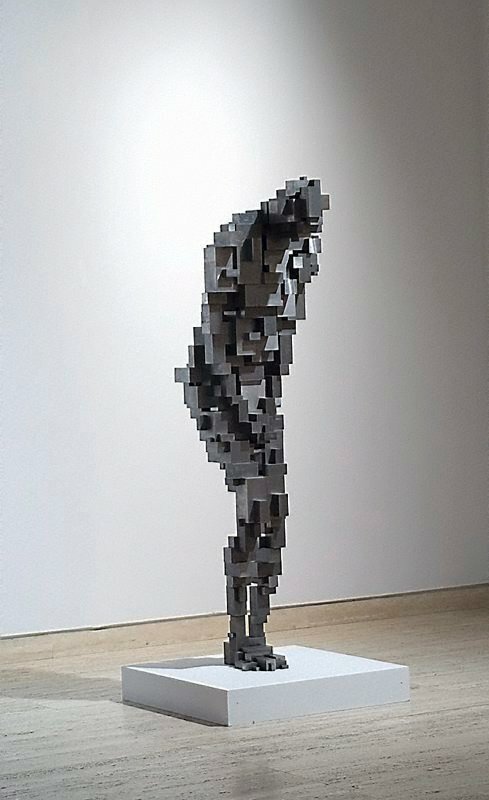 In this case the energy represented by the modular construction yields the impression of an intimate pose once the eye has adjusted to the “pixilation”. Gormley’s work appears like silent sentinels but they are physical manifestations of the inner self – his interest is really about the possibilities and the realities of exploring and defining the human presence. In 'Haft' (made up of hundreds of small rectangular highly finished steel blocks) we are again confronted with the internal mass, oddly articulated, which echoes the strengths and frailties of the human within.